Researchers from the University of Massachusetts have created a new form of fabric-like battery which could be instrumental in pushing wearable electronics to the next level. A team of researchers has developed a fabric-like battery that could bring wearable electronics into mainstream production. Researchers from the University of Massachusets Amherst recently created a new form of fabric-like battery. If scalable, it may potentially boost the production of wearable technologies for any clothing. According to the research team, the device exceeds the charge levels of most other modern flexible batteries. It manages this due to the components used in building it. The group reportedly used a micro-supercapacitor for gathering energy combined with vapor-coated conductive threads to create an efficient charge. Aside from the micro-supercapacitor and vapor-coated threads, the researchers also utilized a special kind of sewing technique. This technique allowed them to create a flexible electrode mesh on the cloth backing. The combination of these techniques allows the small energy storage device to power wearable biosensors easily. 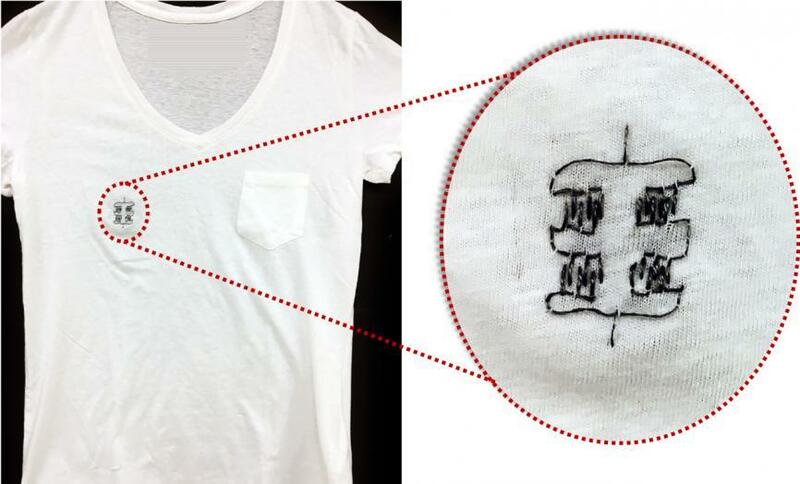 “With this paper, we show that we can literally embroider a charge-storing pattern onto any garment using the vapor-coated threads that our lab makes. This opens the door for simply sewing circuits on self-powered smart garments,” Andrew explained. During the team’s initial studies, the team found supercapacitors to be the best components to create wearable storage circuits. According to the team, this is because of the high innate power densities found in supercapacitors and not on standard batteries. The researchers enhanced the supercapacitor by adding electrochemically active materials to supercharge its performance. Instead of adding additional threads, the vapor coating process creates porous polymer films and thick yarns boosted with electrolyte ions. Andrew and her team are continuing to collaborate with the UMass Amherst Institute for Applied Life Sciences’ Personalized Health Monitoring to integrate their technology with e-textile sensors. Where else do you think this fabric-like battery could find useful applications?